Has USA military intelligence found a way to bypass the old US Deep State's fake mainstream media newsflows and communicate directly with the American public? In the last quarter of 2017, the Q source (Q Anon) began to made itself audible to the anglophone AltNews community. It purported to offer high-status information from a position within the ongoing Deep State régime-change battles in America (USA v US) and elsewhere. By the USA private corporation, we refer to the new American pro-Constitution patriotic powergroup fronted publicly by Donald John Trump and headed covertly by Joseph Francis Dunford. It has been observed that this powergoup seems to be a Washington DC-based soft-coup military government. By the US private corporation (UNITED STATES, INC.), we mean the old Nazi-continuum globalist syndicate which used to pretend to American governance in the Obama, Clinton and Bush years. Neither the USA or the US private corporations are Constitutionally-lawful governing entities yet, but the USA powergroup has the energy and the benevolent potential to morph into proper legality when it makes the appropriate public disclosures and allows a transparent due process of Constitutional law to be revived. 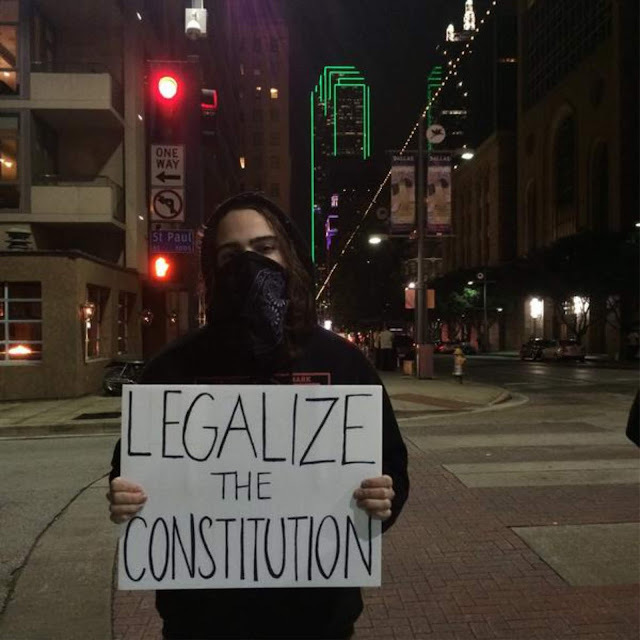 The task of the USA powergroup is to legalise the Constitution, restore the republic, abolish the privately-owned Federal Reserve money laundry, declare that Admiralty Court martial law is lifted, and explain publicly to the American people why these measures are necessary. The Q source appears to be articulating developments or actioned processes from inside the USA v US struggle. This hybrid conflict has been referred to by Russia as The Second American Civil War. Whether Q's information constitutes a negative, disinformative, or distractive PsyOp, or is veridical in every detail, remains to be determined. Opinions are divided. By the middle of January 2018, the view was being expressed that the identity of Q had changed, a different team was running its output and its reliability had been subverted. 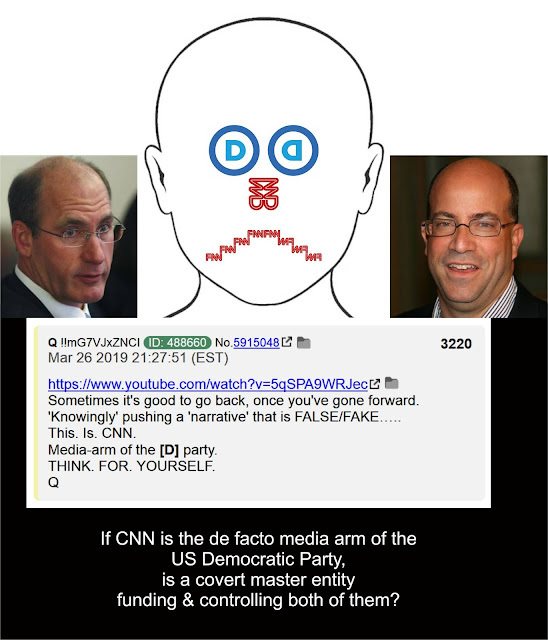 If that was accurate, it did not mean that the original Q was fake. That Q did, it seems, accurately predict the Hawaii nuke shootdown in advance (more here). By the middle of April 2018, a widely-held idea circulating was that the Q Anon team was an active White Hat patriotic unit working from within USA military intelligence. This team had originally been formed to recruit Donald Trump to run in the 2016 US Presidential election (Plan B), in preference to executing a long-planned and publicly visible anti-Obama, Pentagon-led military coup in 2014/15 (Plan A). 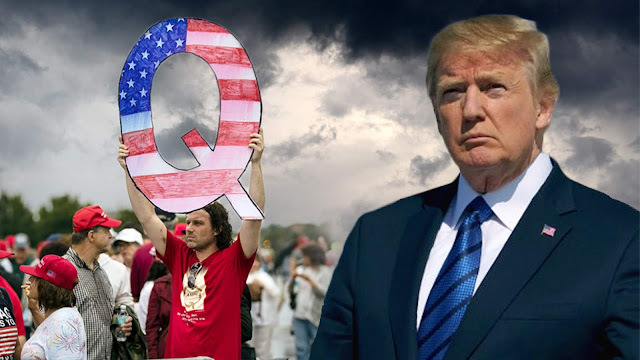 By the beginning of 2019 it seemed clear that the Q source (Q Anon) was an inside Pentagon intelligence conduit working in coordination with Donald Trump's more visible public Twitter feed here. It was one of several necessary USA administration strategies designed to expose and subvert the old US Deep State's control of American mainstream media fake news and its false world narratives. One of the engines driving the covert media manipulation and censorship in the US Nazi-continuum years (1944-2016) was Project Mockingbird (or Operation Mockingbird), originally curated by Allen Dulles. 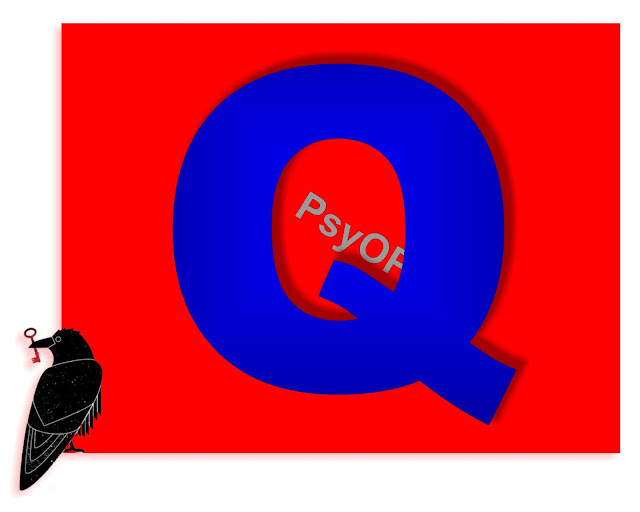 Picture: The Q symbol and Donald Trump. 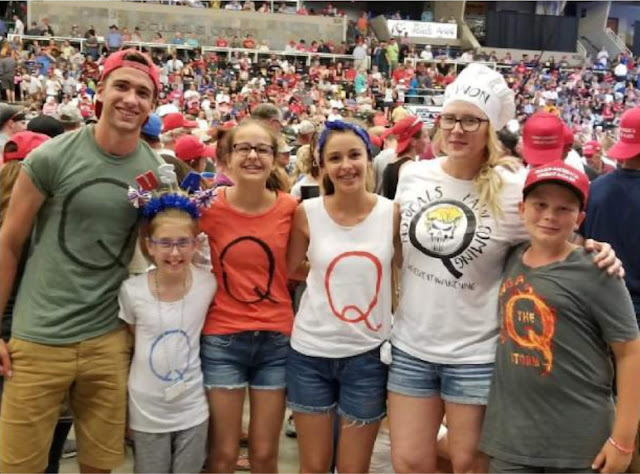 Picture: The Q symbol appears at Donald Trump rallies in the Summer of 2018. 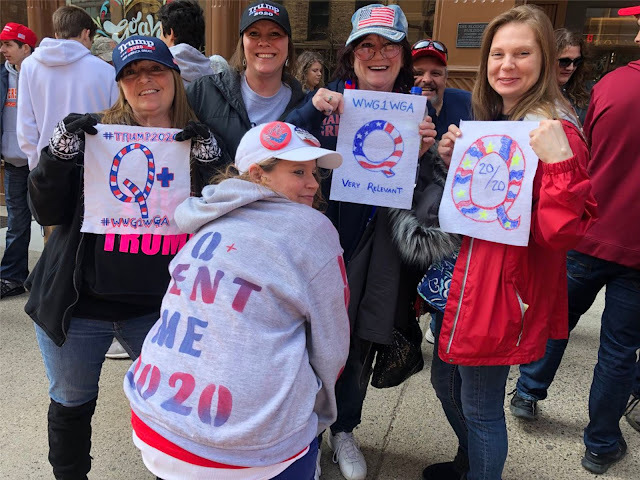 Picture: The Q symbol and USA Donald Trump rallies 2018-2019. 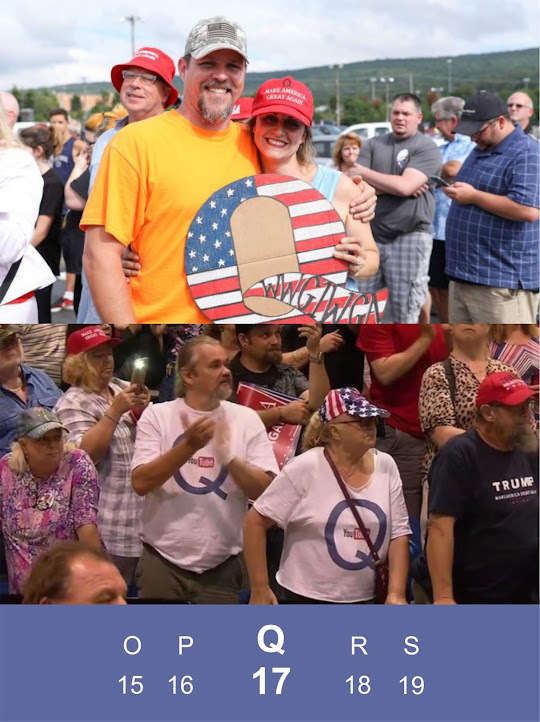 Picture: The Q symbol and USA Trump rallies 2018-2019. 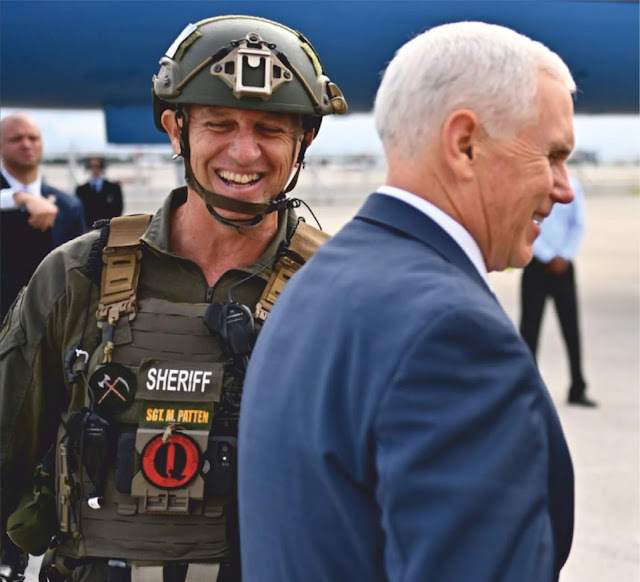 Picture: USA's Mike Pence with Sheriff wearing a Q badge. 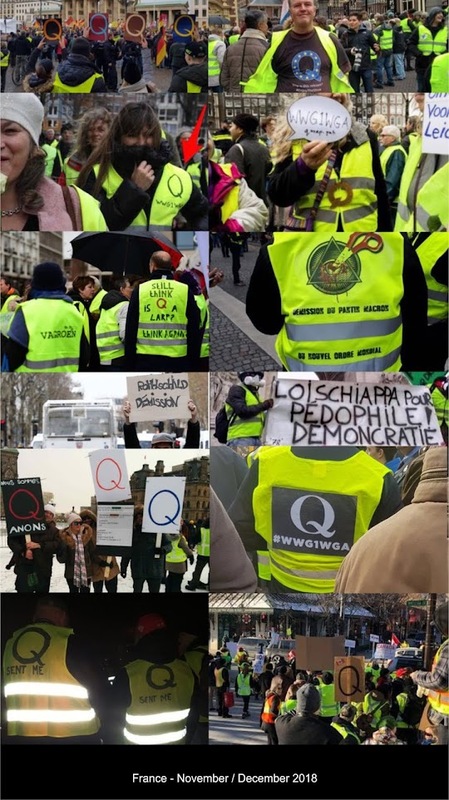 Picture: Q symbol seen among Gilets Jaunes. Paris, France (Winter 2018). 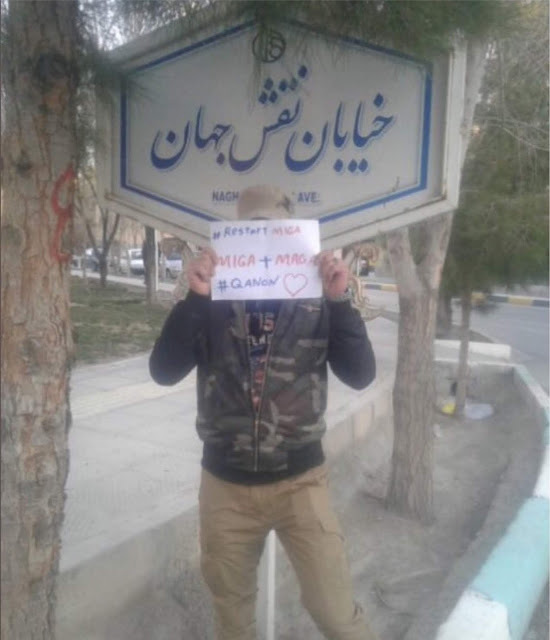 Picture: The Q symbol seen in Iran. 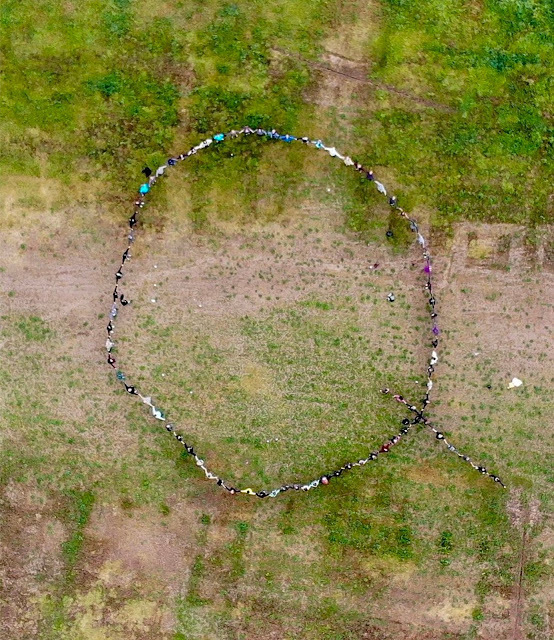 Picture: Q symbol composed of people holding hands. USA. Picture: Q note dated 12th December 2018. 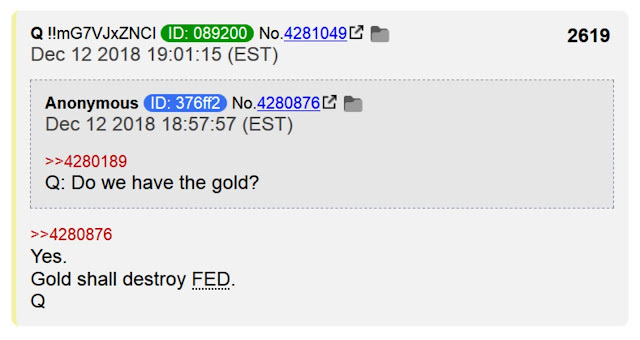 Gold shall destroy FED. Picture: USA - CNN and the US Democratic Party. Picture: Mueller Report on Russian Interference in 2016 US Presidential Election. 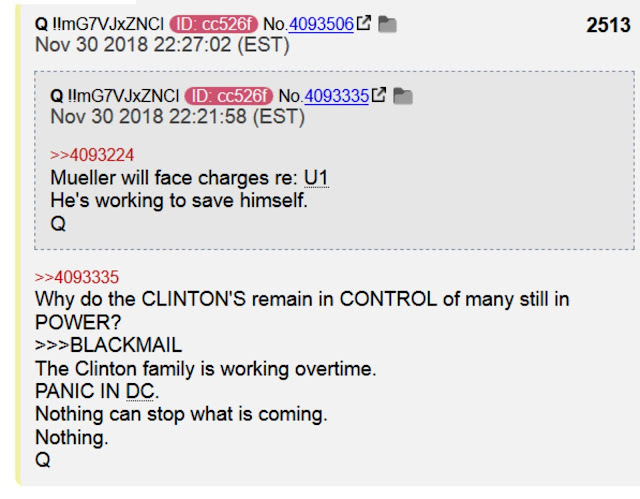 Picture: Q post on Robert Mueller and the Clinton family. Picture: Q post dated 14th February 2019. Bill and Hillary's public health. 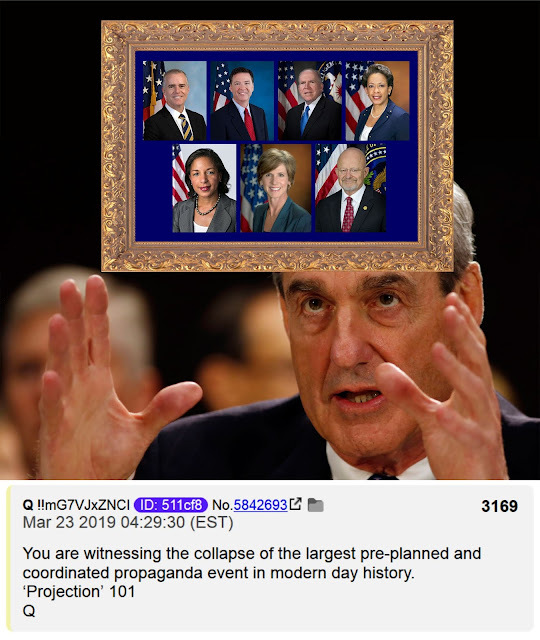 Picture: Q post on General Michael Flynn. 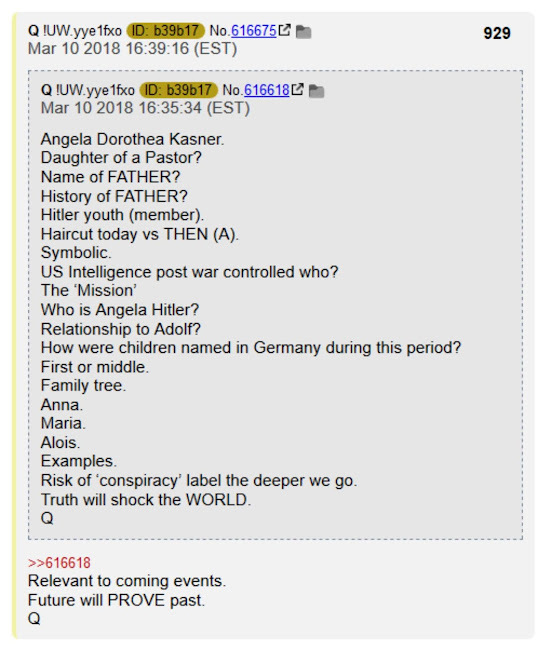 Picture: Q post on the Angela Hitler, Angela Kasner, Angela Merkel story. 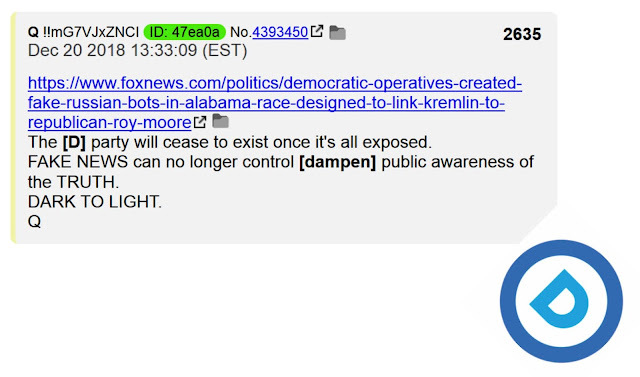 Picture: Q post on Control. 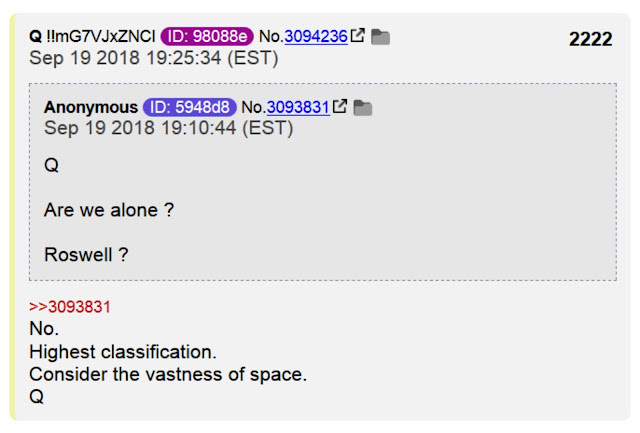 Picture: Q post on extraterrestrial life and contacts. Roswell. 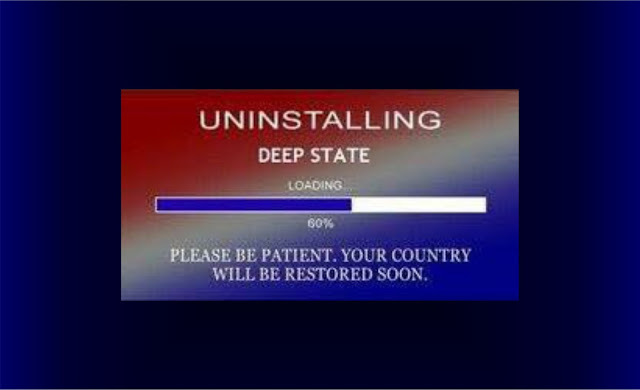 Picture: Uninstalling Deep State. Please be patient.